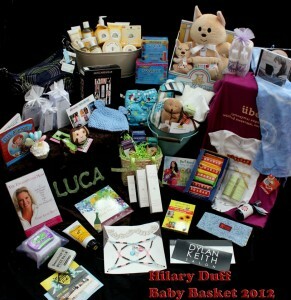 Hilary Duff celebrity baby gift basket is on her way to Hilary’s house. Thank you to all of you who took part!! — with Jennifer Ormond, Ela Lewicki Cacciola,Trina Unverzagt, Amy Gersh Rzepka, Julia Lambie,Ima D. Uko, Jennifer Taday Thomas, Lisa Lent, Bari Koral, Kristin Marie Best, Erin KrinklzBaby, Lisa Cocuzza, Jenni Fuego, Dashiel St. Damien and Lisa Gal Bianchi. La’s The Place Youtube Video on Oscar Gifting Suite!